Destination restaurants in New Zealand share an existence similar to the realms of “Middle Earth” - they don’t exist (at least in 2014). I remember standing in front a chilled vast matrix of beautiful silvery blue wavelets in Wellington’s Oriental Bay before going to the White House but the eventual experience had limited thrall. Then there is the admittedly special experience of zipping up 623 feet with the glass floor beneath your feet showing the vertiginous deepening elevator shaft while the awesome vista in front of you fluctuates past the building’s frames, but when you enter Orbit restaurant in Auckland’s Sky City, it loafs off a little too much for its own good. 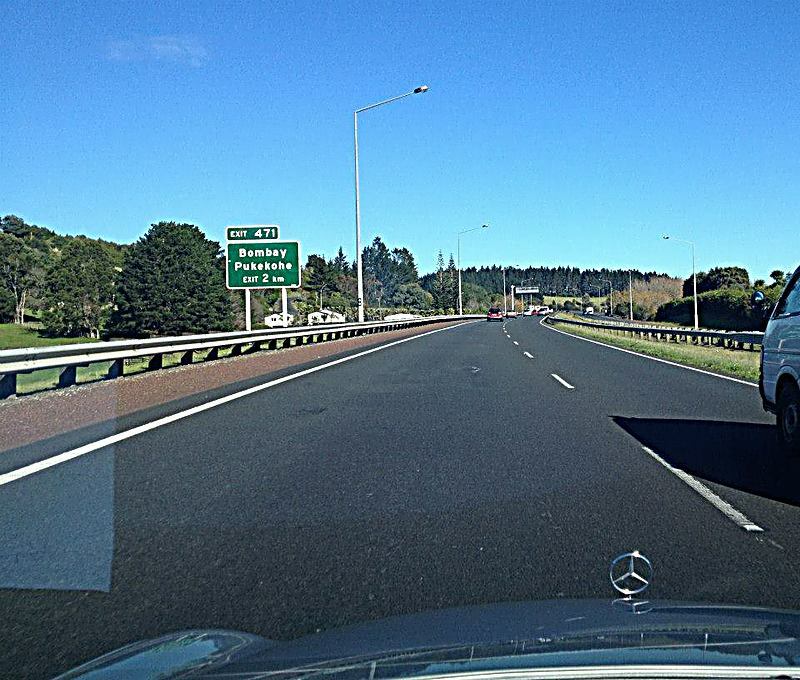 But somehow I felt we were closer to the real thing when the bumper-to-bumper traffic cleared off, and we were coasting along the highway at 100 kmph on a sunny weekend at the edge of Auckland city. Close pals made the occasion even more special and then the verdure gave way to the brown of tilled fields as we rolled into Bombay. I know quite a few things about the Bombay of India (I can hear Raj Thackeray murderously growling “Say Mumbai”!) but the said township in NZ is rural hinterland - you don’t see bullock-carts but they wouldn’t seem terrible out of place even if they epiphanized here. The estate was certifiably impressive. The wheels of our carriage languorously scrunched over gravel and in stark contradistinction to the downtown we had started from, here there was neatly apportioned, regally available parking space - each compartment rimmed by lawn. Most people don’t reach my website hence I presume I won’t be wrecking (by broadcasting the charms of this place to discerning hordes) the sense of calm and exclusivity we felt discovering the estate. The perfume of olives pleasantly suffused the air as one traversed between symmetric rows of trees, and as one saw the chair and table arrangements amidst that curated space, somewhat non-sequitur thoughts of “Last Year at Marienbad” came to mind - our eventual experience was not as visionary but ’twas no doubt a beaut. Top-quality oysters graced the beginning of our innings. Their natural mild funk was matched note for note by their freshness and succulence - that taste was actually obscured by the raspberry and shallot dressing placed nearby. Smooth excellent flavour coursed through the slick glistening olives presented to us in a bowl- it was ironic that they were imported from Italy, as the estate’s olives all go into the making of commercial products. The sashimi-style course was the first rendition of this genre that gave me unalloyed joy, and here Chef Mikey Newlands shows his NZ-wide colleagues how it’s really done. The tuna is a nice au naturelle slice that gives body to the bite, not some characterless tartare. The creamy horseradish on top has sweetness blended in to balance its spice and the temperature of that little quenelle is coolly refreshing. In a nod to California, avocado pleasantly joins the mix and Newlands tops it all off by making the base a lovely ribbon of apple. We were seated in the sun-streaming verandah of the restaurant done up in a light but classic French style, which seemed a perfectly logical way to channel more of the flavour of the France-evoking estate. A slip-up then occurred - a tea-colored consomme poured at the tableside was a stylish continental touch no doubt, but it was over-salted. This was given adequate recompense by cuts of pheasant that were like slices off a breast of bacon, and even better - a little spheroid that superbly blended that protein with chestnut to give a mellow but profound taste. The main marine course however erred by minimalistically cooking both the groper cheek and paua - shorn of any sear or discernible seasoning they receded away like just another wave. The dish was glamorously crowned with pearls of caviar, but stilted flavour was again mirrored in the vegetables turned in beautifully petite fashion. Service is politely passable. The service staff were good-natured so in a bid to further encourage them, I left a tip of $20 , and my companion added another $20 to it. Our neighboring table seemed to have tipped even more, so that may give you some indication of the state of mind of patrons here. Chef Newland’s lamb main was dish of hedged bets. I have never eaten lamb as marvellously cooked and flavored as the rack served in a 12 course meal in Bangalore’s Caperberry in 2012. Bracu’s version by itself will not inspire rapture, but when mixed with the character of those “wild grains”, rendered tubers ,a textbook red sauce and a flick of date puree, you can eat as much of it as you can chew and savour. Our afternoon the previous day amongst the skyscrapers of Auckland CBD had been rather disappointingly spent in Grove where a palate cleanser of feijoa sorbet had us shaking our heads at how for the umpteenth time this admittedly tart ingredient had not been tamed into being a bonafide refresher. When a similarly green pre-dessert was presented to us amidst the autumnal verdure of Bracu, we half-rued another let-down. But this dull emerald turned out to be a bright basil kiss that we amply availed of, and like some of the best intercourses, it was rightly over before desire extended into familiarity. Joy escalated with a gorgeously baked passionfruit souffle - the top rising like powdered cloud and its body seguing into warm molten goodness. Both tangy edge and sweetness were held in superb check. The tariff was also sweet - at $85 for 7 courses per person, it is outstanding value for money. We then sauntered outside in the estate again, taking in more of its pastoral charm in the coppered slant of post-meridian light. Chef Newlands has worked before in Grove and when my friend told him that we had our lunch there the day before, the former asked with interest how our experience was. I entered the picture, addressed him by name ,shook his hand and simultaneously (and also truthfully) told him that he had definitely done a better job that afternoon. He was understandably stoked and asked my name - I doubt he’ll remember it but I won’t forget his and the restaurant’s in a hurry.